Recently, I had the pleasure and honor of delivering a 1-hour HSW continuing education presentation on “Learning from Building Envelope Failures” to the Vermont 2014 ACX, a collaborative event organized by Vermont Chapter CSI and AIA Vermont. 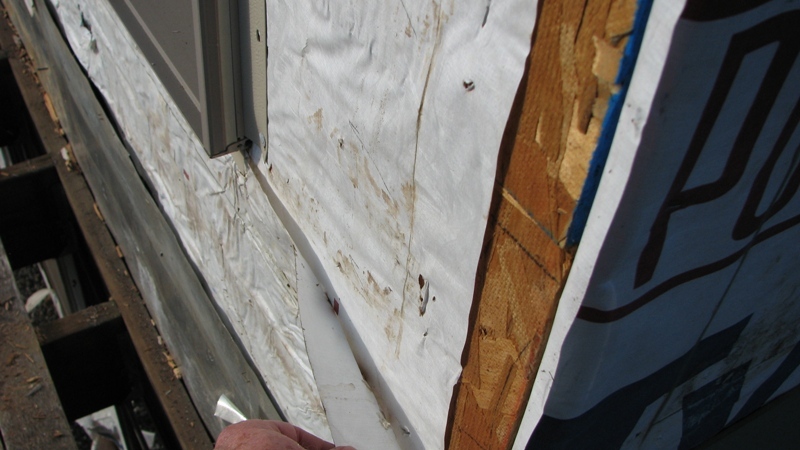 The presentation included photos from observations of building envelope failures. As I was preparing the presentation and thinking about the “Lessons”, which included the importance of good detailing, the relationships among building layout, roof drainage, owner/user maintenance, project organization and decision making roles, I also started thinking about how much money we – as a society – spend correcting and litigating design and construction problems. That led me into thinking about how, in most cases, spending a little more time and money on initial design, construction supervision and quality control could help to avoid the problems that lead to extensive, high-cost repairs and costly litigation. Then, I thought about the people who performed the inadequate installations that failed. Prevalent gaps in underlayment materials and wrong-way lapping of underlayments and flashings (in construction only or even by design) could only be included in the project by workers who believed that speed was more important than quality or that quality was the responsibility of others. There were no other apparent explanations. It was unthinkable that a construction crew would deliberately sabotage building performance by installing materials in a way that was sure to leak and cause deterioration. To a trained and educated architect or construction professional, the photos themselves were alarming evidence of lack of “common sense” regarding water shedding needs. Yet the photos may also be evidence that “common sense” – as we may think of it – is not so common. For those who applied the next layer of material that concealed the defective work, “common sense” may have told them to go ahead quickly, get it done, and get paid. There might have been no “common sense” associated with delaying the work to correct it before moving ahead. Perhaps there was no one on the job or overseeing the job who would appreciate a slowdown for quality. Perhaps “quality” was viewed as the finished appearance alone without regard to underlying integrity. It is too bad. We – as a society – seem to continue along this path. Although the photos above represent a single multi-building project, other projects and project types are not immune. Governments have crafted codes, laws, and regulations to avoid these kinds of failures, and yet the failures occur in spite of the codes, laws, and regulations. Even project LEED certification by itself is not a guarantee of freedom from such failures. But, it is more than just too bad, because these buildings are places where people live and work or are present as students or patients or patrons or occupants of other types. 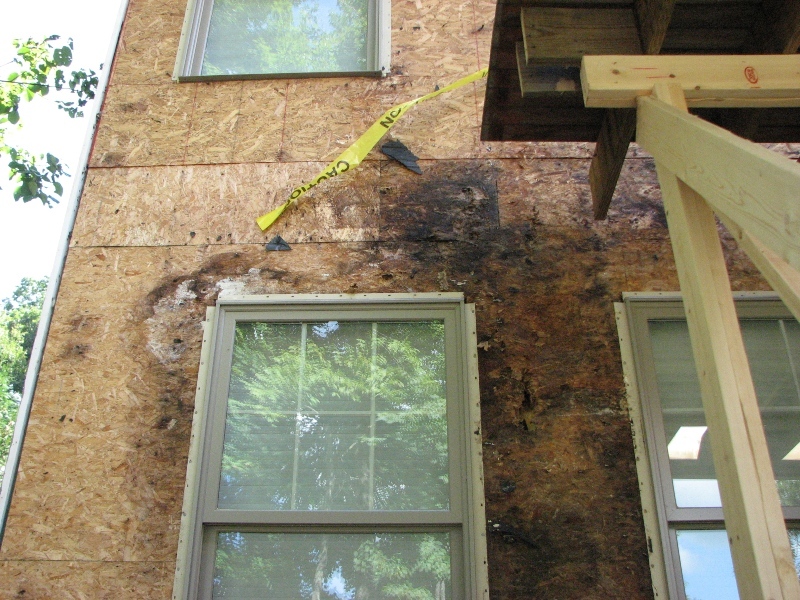 Building envelope failures are not only an economic problem; they can also pose health problems for building occupants. Yet, they are common problems – too common. We – as a society – need to place more importance on design and construction integrity that will support good building performance. We should be investing in building integrity and in quality that is more than skin deep. We should value the time and effort needed to deliver building integrity and insist on supervision and monitoring of construction in a way that lets workers know that the quality of their work does matter, even if the work will be concealed by other materials or finishes. We live in an age of “consumer power”. If consumer pressure can influence food producers and suppliers and the composition of other products, then consumer pressure can also influence design and construction of buildings in ways that will promote building integrity – quality that is more than skin deep.